Tina Pluckin the Old Dennil Floss! 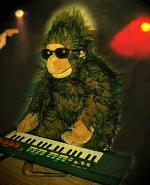 Chester's Gorilla was found in an Irish pub in Santa Cruz, Bolivia, still with his colornote organ for beginners. Great effort, Catholic Girl..! 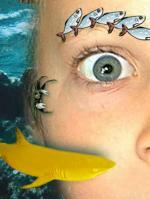 With our webmaster's adventures under the water!